This weeks blog post is brought to you by Clearbanc, a company offering financing to help Airbnb entrepreneurs grow their short-term rental business. Imagine being asked about your job at your next reunion, would you mention running your Airbnb? 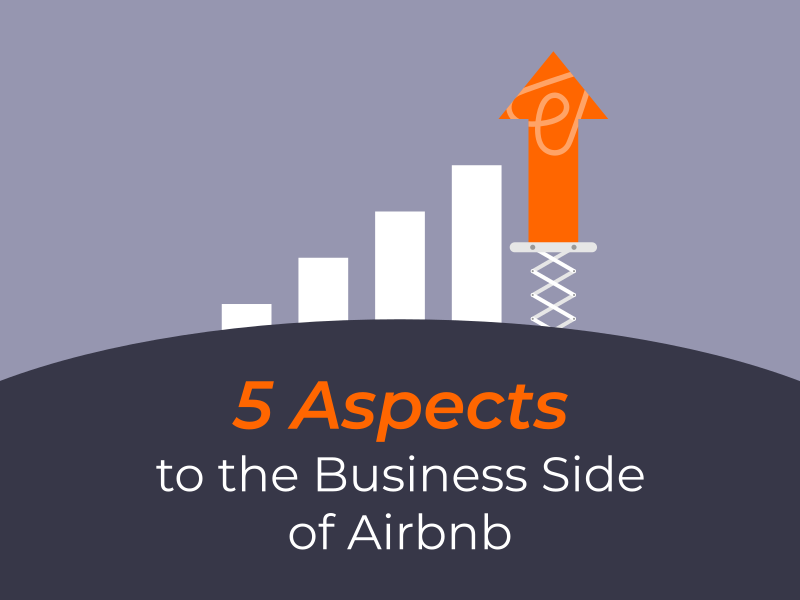 Many entrepreneurs are crossing the chasm from part-time Airbnb hosts to running their business professionally and full-time. We share some of the key business aspects entrepreneurs face as you grow your vacation rental business beyond simply earning extra cash. Similar to your car, your property furnishings depreciate over time. 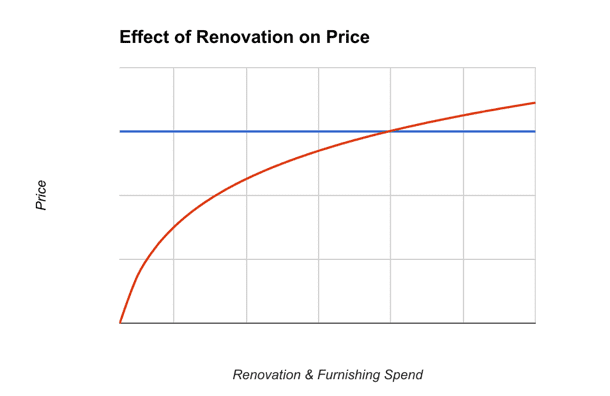 Reinvesting in new furnishings and renovations are necessary upkeep costs to maintaining your asset’s value over time. Breakage will need to be accounted for as accidental damage occurs (typically to glassware) throughout the year. OptimizeMyAirbnb.com recommends Proper Insure for third-party vacation rental insurance. 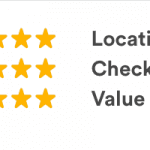 There’s a correlation between the quality of your listing and the price you can charge per night. Keep in mind that this relationship is not linear. As you can see, it is possible to over-renovate. Even if your decor is gorgeous, due to location and the basic value of your property, you won’t be able to price exponentially higher. Clearbanc Tip: One of the best early investments to boost your occupancy and nightly rate is to increase your number of beds. For example, a pull-out coach would allow for two more guests, giving you more flexibility in terms of the number of guests your listing can accommodate. Generally speaking, there are two ways to acquire new properties. You can buy the property outright. This requires both a down payment and a mortgage (unless you are paying in cash). When you own the underlying asset (the property), there comes a set of advantages and disadvantages associated with being financially tied to the fluctuations of the real estate market. Alternatively, we’ve seen many hosts bring on new properties through renting. The advantage here is the startup costs are much lower, usually requiring first and last months rent along with an investment in furnishing. When do you break even? 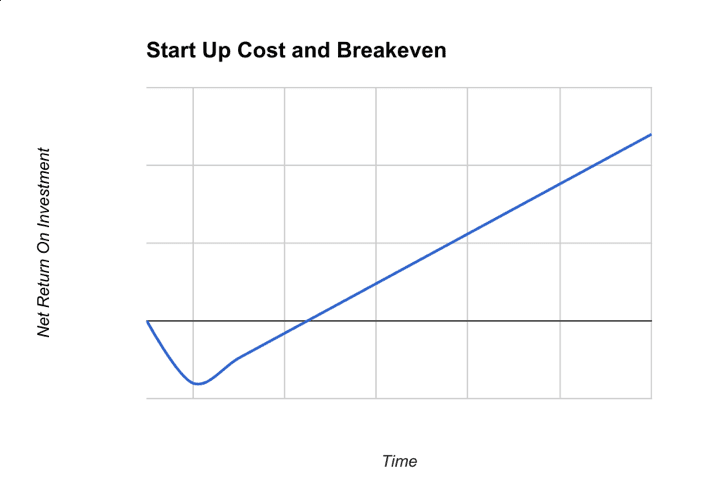 How many months will it take to break even on your initial investment? Is it 3 months or is it 6 months? It’s very important to know your numbers when taking on outside capital. Fluctuations! As with all businesses, there are often seasonalities associated with your vacation rental. Before you expand, understand the risks of doubling down on your current city. You will, of course, benefit from the upside during busy periods, but when the low season hits, it will negatively affect all your properties. If possible, it is worthwhile to diversify your portfolio. Know Your Numbers! 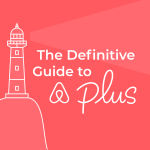 You’ve probably heard this many times over, specifically, there are a few key metrics in relation to your Airbnb business that you need to know. Fixed costs – all costs that occur monthly, regardless of your booking revenues. This usually includes your rent, mortgage costs, utilities (although this could be both fixed + variable), and other overhead such as accounting fees and employee salaries. Variable costs – costs that are associated with each booking. For example, this would include cleaning costs, maintenance, and service fees from various booking channels. Net margins – for every dollar that comes in, how much do you pocket after all expenses are covered. Notice that we did not include setup costs such as furnishing or down payments. The costs to bringing on a new unit are important to know when growing your business. However, they are less important when it comes to day-to-day operations. Don’t forget Taxes! Be aware of Airbnb Taxes and Hotel Taxes in your region (local and state). We’ve heard stories of large hosts who end up owing the IRS a large check when tax season rolls around. When you think about revenue for your vacation rental business, you should understand how the numbers break down and the core levers that affect your month-to-month revenue. Sometimes a high price will result in occupancy dropping off. But if your price is way below the optimal level, you’ll get overbooked and miss out on potential revenue. As you acquire more properties, it’s difficult to consistently optimize your pricing for each listing even while using intelligent pricing tools. Using tools like OptimizeMyAirbnb’s personalized revenue management (available to hosts with 5+ listings) can take the guesswork out of pricing your listing and assist you as you scale your business. Specialized services like Clearbanc’s Vacation Rental program invests up to $1,000,000 in property owners and managers who are looking to acquire new properties and/or complete renovations. Based on your future reservations, Clearbanc can help you bring new listings online and expand your business and property portfolio. The main advantage is this method allows you to keep your business and personal life separate. You’re not personally liable and none of your assets are at risk of being seized. In order to build a scalable vacation rental operation (while having fun along the way!) you will need to treat it as a business. Successful vacation rental entrepreneurs usually have three core qualities: great management, diverse portfolios, and funding capital backing the business. Clearbanc, a company that has helped thousands of entrepreneurs grow their business through services like financing capital and business intelligence for your business. If you’re interested in Clearbanc, you can signup here. As an OptimizeMyAirbnb host, you will receive an exclusive 10% discount on your financing offer. If you have any questions, please do not hesitate to contact the Clearbanc team: support@clearbanc.com.